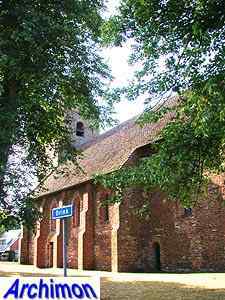 This is one of the best-preserved Romanesque churches in the province of Drenthe. 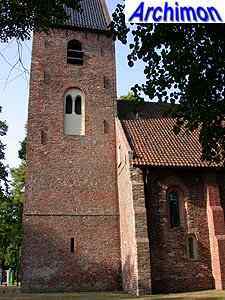 It dates from the 13th century and has only changed little since. 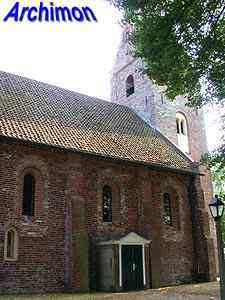 Like most medieval churches in the northern provinces it is a one-aisled building with a west-tower and a choir that is as wide as the nave. 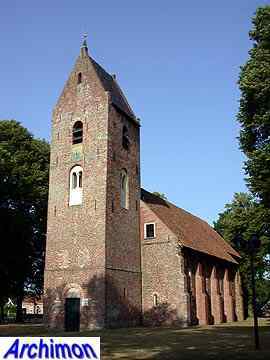 The tower has the saddle-roof that's typical for the northern provinces, although in Drenthe it's less common than it is in Friesland and Groningen. 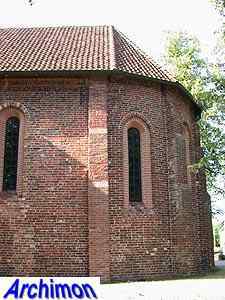 On each side the tower has a white-plastered niche with two sound holes seperated from each other by a small pillar. 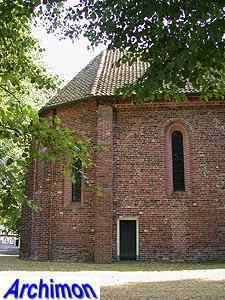 The niche on the south side is still original, the others are reconstructions from a later date. 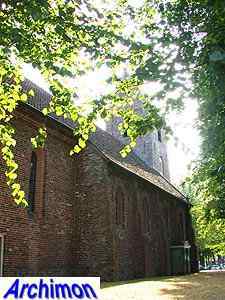 The walls of the church clearly show traces of a restoration the church underwent in 1968-1971, when the neo-Gothic windows which were added in 1837 were replaced by reconstructed Romanesque windows. During this restoration some closed smaller windows were found which were reopened. 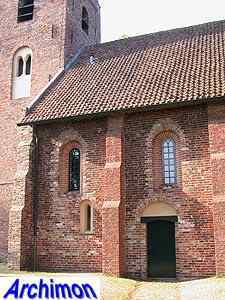 These small windows seem to indicate that originally the church was to be covered by vaults that would begin at a low height. Perhaps this ever happened, or the vaults may have collapsed. 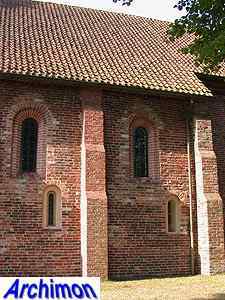 The walls are supported by buttresses which were added long after the 13th century, possibly 1837 as well. The choir has survived well. 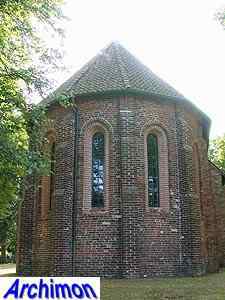 It still has its original windows, as well as the original mellon-vaulting in Romano-Gothic style.